There's no better way to remember your stay with us than "baking up a batch of memories!" In a large mixing bowl combine flour and following 5 dry ingredients. set aside. Combine milk and vanilla, set aside. In large mixing bowl combine butter and sugar, cream. Add eggs and beat. Alternately add flour mixture and milk mixture to creamed butter/egg mixture, stirring just until moistened. DO NOT OVER MIX. 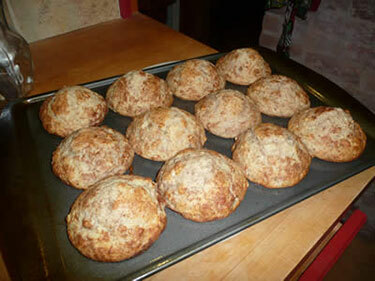 Grease muffin tins and fill full, sprinkle batter well with cinnamon sugar mixture and bake for 25 minutes. Transfer to a wire rack and let cool for about 10 minutes before removing from pan. Transfer to a wire rack and let cool for about 15 minutes before removing from pan. In a large mixing bowl combine flour and following 5 dry ingredients. set aside. Combine milk and vanilla, set aside. In large mixing bowl combine butter and sugar, cream. Add eggs and beat. Alternately add flour mixture and milk mixture to creamed butter/egg mixture, stirring just until moistened. DO NOT OVER MIX. Fold in frozen Blueberries. 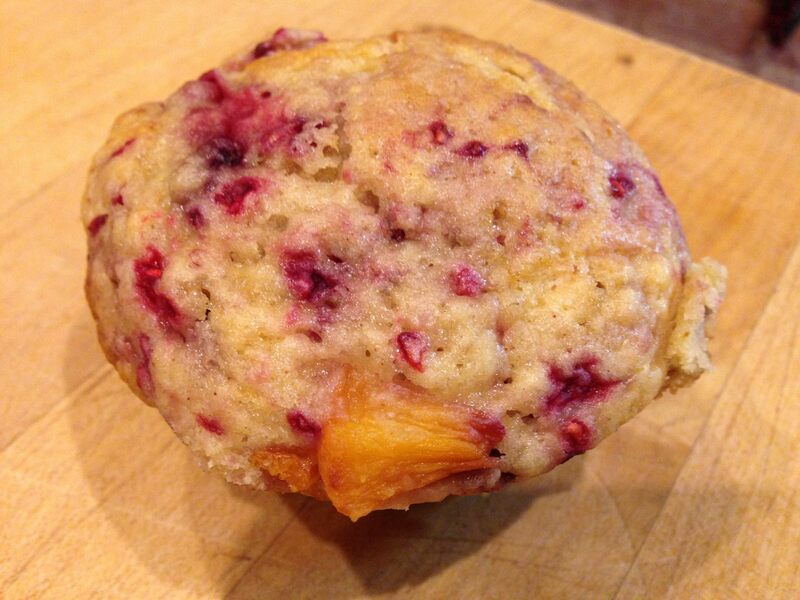 NOTE: I prepare the fruit at least the night before and freeze for better consistency in the muffin. In a large mixing bowl combine flour and following 5 dry ingredients. set aside. Combine milk and vanilla, set aside. In large mixing bowl combine butter and sugar, cream. Add eggs and beat. Alternately add flour mixture and milk mixture to creamed butter/egg mixture, stirring just until moistened. DO NOT OVER MIX. Fold in fruit. 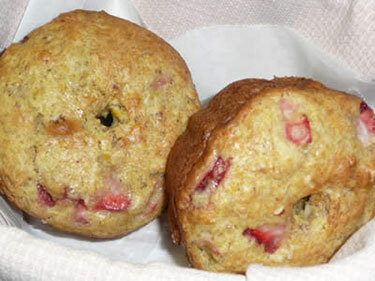 Grease muffin tins, fill full and bake for 25 minutes. In a large mixing bowl combine flour and following 5 dry ingredients. set aside. Combine milk, juice and almond extract, set aside. In large mixing bowl combine butter and sugar, cream. Add eggs and beat. Alternately add flour mixture and milk mixture to creamed butter/egg mixture, stirring just until moistened. DO NOT OVER MIX. Fold in chopped cherries. 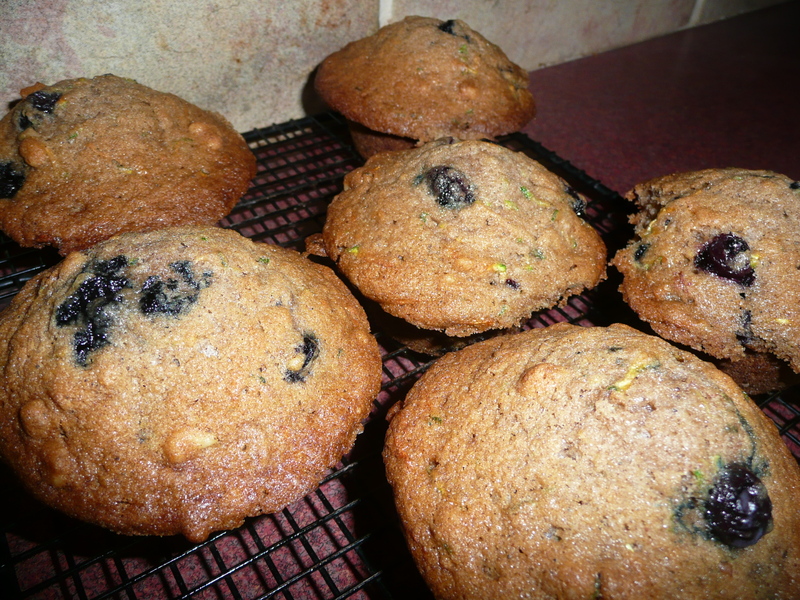 Grease muffin tins and fill full and bake for 25 minutes. Cream butter and sugar. Beat in eggs. Add zucchini and vanilla, mix well. 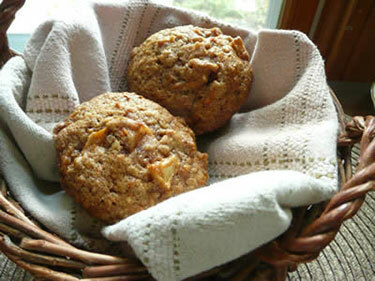 Combine flour, baking soda, baking powder, salt, cinnamon, allspice, nuts; mix well. Do not overmix. Fold in blueberries. 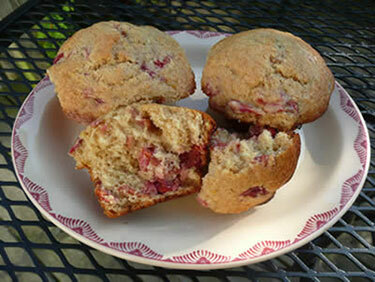 Fill muffin tins full, bake 18 - 23 minutes . In a large mixing bowl combine flour and following 4 dry ingredients. In a separate bowl combine eggs, pumpkin and oil. Mix well then add to dry ingredients. Add apple to mixture and mix well. Prepare Streusel topping. 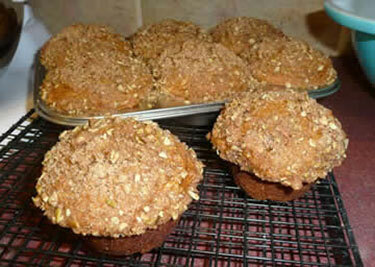 Fill greased or lined 12 cup muffin tin and top with alot of Streusel Topping. Bake 30 - 35 minutes. 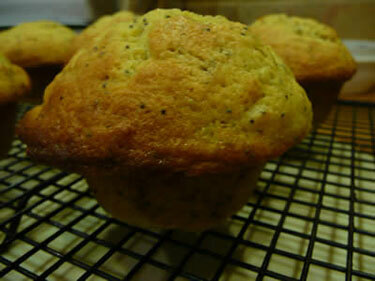 In a medium mixing bowl, whisk the flour with the poppy seeds, salt, and baking soda. In a large mixing bowl beat the butter and sugar until light and fluffy. Beat in the eggs, one at a time, beating well after each addition.. Beat in the lemon zest, yogurt, and vanilla until well blended. Stir in flour mixture just until moistened. Do not over mix. 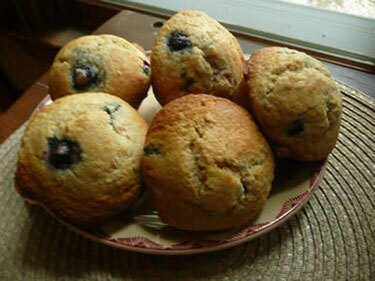 Tip: you can make (10-12) muffins that will be small or use a large muffin tin for 6 muffins.